The Neil Westcott Memorial Trial is a long distance event which takes in 15 sections across Exmoor, taking in a range of venues from rocky rivers to wooded hill climbs, culminating in a special test to find the winners. In addition competitors get to enjoy a ride around the roads and tracks, taking in the beautiful surrounding Exmoor scenery. This very popular event is always oversubscribed so its essential to get your entry in as soon as possible. We will update this page with details of the 2017 event when they become available. 2017 Results are available here. For more details please contact the secretary of meeting; Geoff Westcott. 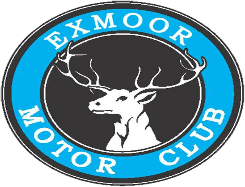 © Exmoor Motor Club, 2016.